Does anyone else find this game a little scary at points? Don't get me wrong, this game is amazing, but it's easily the scariest of all Donkey Kong Country games. The way the screen fades in and out incredibly fast is kinda unsettling. Creepy glitches that break the game, like the infamous Castle Crush glitch. Unused sprites include a mourning Diddy and Dixie Kong. Aside from the pirate ship and bramble levels, a great portion of the game's levels are dark and dreary. Not to mention the way certain music and sound effects change when you use par codes on it. It's rather terrifying. Re: Does anyone else find this game a little scary at points? I love the castle levels! Although, I would say that I am more of a dark person... I kind of wish that there were more castle levels in the game. And you forgot about the roller coaster rides! Those are not... well, the background is dark because it's night, but the levels themselves are not dark as in scary. The error messages are scary too, have you ever looked at them? The level icons always made me feel uneasy, it was probably the framerate. Markster wrote: The error messages are scary too, have you ever looked at them? Of course - it actually happened to me once! Actually, it might have been twice! Kiddy14 wrote: The level icons always made me feel uneasy, it was probably the framerate. Especially the boss icons - a skull with bright red eyes. I used to be terrified of Krem Quay when I was younger (mainly because of all the dead, leafless trees). 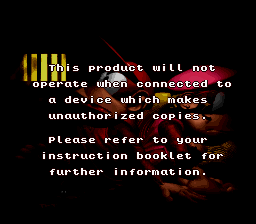 I remember looking at it the instruction manual when I first got the game. It sent a chill down my spine. I found a video with all the unused sprites in the series and let me tell you that there are such a large amount of unused sprites in the game like the unused mourning sprites for Diddy and Dixie which are actually really creepy, it makes you wonder how much content was scrapped in these games like how DK might have actually DIED! You should post a link! I would very much like to see this video! But about this game being creepy, I think that the most scary part was when you beat K. Rool in the Lost World. He floats away, the island is sinking, and he's laughing. That was pretty creepy, now that I look back on the game. Unused sprites from Dkc 2? I really, really want to see those. And yes, part 2 Was actually very dark and that is one of the reasons it's my favorite from the series. The video doesn't have anything not posted here, I think. Yes!!! The moment Kleaver started going crazy and started cutting at me scarred me as a child. Also sorry for huge bump. Eh, the first game was way scarier. Waking up one day to find all your bananas missing- The horror! THE HORROR! The main attraction the 2nd game has for me would be the overall spooky vibes. Not spooky that it's campy, and not spooky that it's trying to scare you, just a fantastic grimly little atmosphere. Throw in a girlfriend with a guitar and a few pirates-what a game! It can be seen as a result of the infamous Castle Crush glitch. In some video on YouTube, a person told the viewers about his friend, and how he was playing DKC 2 in the middle of the night, when this screen appeared. No warning, just bam and it appeared. It's not just that screen that's creepy, there's also the game over screen. When some people say that it isn't scary at all, or DKC 3's game over screen is creepier, I say DKC 2's is the scariest. Mostly because of the ending part; when the screen turns completely red. That is definitely scary to me. For a platformer about monkeys collecting bananas, it is pretty damn gritty, and that's one of the things I love about it. Having said that, the game over screen in DKC1 literally made me have to leave the room as a kid. But I guess that's a good thing in that it encouraged me to try and never get a game over! Let's see, the rollercoaster levels and their music always creeped me out. I think it was the fact that they were riding in a giant freaking skull with piercing red eyes. And the screams... definitely the screams. I love the whole concept now, but it was a different story when I was young. Also, I have never liked how Kloak laughed. Something about it always struck me as very "other." Kleever is my favorite boss, but the sounds he utters are just plain unsettling. It didn't help that the lava levels terrified me when I was young. The music from the water levels are enough to put the fear of God into a 3 - 7 year old. I love it when a whimsical game can scare me a bit. It's hilarious looking back on your childhood self and saying, "Ha, I was terrified of that. Man, oh man, memories." JadeRose wrote: Kleever is my favorite boss, but the sounds he utters are just plain unsettling. It didn't help that the lava levels terrified me when I was young. Glad to find I'm not the only one. From what I remember, it was the Game Over from DKC1 that scared the crap outta me when I was a child. rman wrote: Don't get me wrong, this game is amazing, but it's easily the scariest of all Donkey Kong Country games. Yes, I definitely get what you mean! This game used to gave me very scary nightmares, worse than this Mortal Kombat game I used to play as a child! But since I love dark games, it is my favorite out of the trilogy. Omg I was so terrified of the lava levels too! I always was so afraid of the lava death music!!! And Kleever was my favorite boss too! He was so badass!! I don't understand the fear of Kloak though. I've heard it before, but in my opinion, there is something much more unsettling about the kremling named Klobber. The way his eyes pop out of his head and the way his eyes practically stare into your soul as he looks at you in this overly obsessive way. The way he practically stalks and chases you at every opportunity, and it's like you can't never get away from him. The way he can just come out of nowhere, suprising you, and push you off the edge into the abyss or lava or swamp water. And the voice he makes as he comes out of his barrel. Ugh! God I could say more, but I don't wanna get too personal or go to a very dark place. All I will say is that when I was younger, I used to imagine that he was there, always chasing me. At that time, it was pretty much never-ending. Let's just that in short, Klobber Karnage was an absolute nightmare for me to play, and it wasn't just because of the difficulty of that level!! !